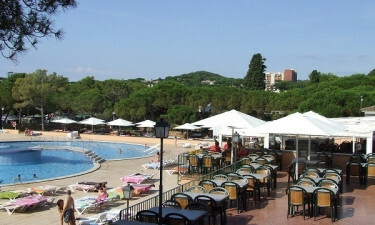 This leading LUX-camp occupies an enchanting position right on the sand in the popular Costa Brava region of Spain. Sun worshippers who book a luxury tent here will really be in their element and will be able to spend long, lazy days on the sand and swimming in the sea before enjoying the vibrant entertainment programme that is organised by staff at La Siesta. What Makes La Siesta So Special? 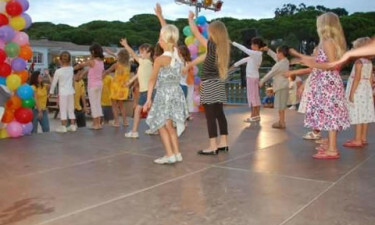 Special entertainment clubs are offered at La Siesta to ensure that guests of all ages never experience a dull moment during their camping holiday. The mini club is organised for very young children and includes drawing activities as well as playing on the bouncy castle, while older children will be able to enjoy a round of table tennis and other games in the junior club. This gives adults plenty of time to unwind alone as well as working up a sweat in the gym and playing tennis or volleyball on the special courts. 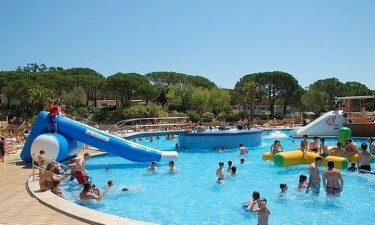 The luxury camping site features a large swimming pool that comes complete with several waterslides and a jacuzzi area in the middle that can be reached by crossing a special bridge. The ocean is also just a short walk away and the cool, clear water here is ideal for practicing a number of different types of water sports such as snorkelling and kayaking. 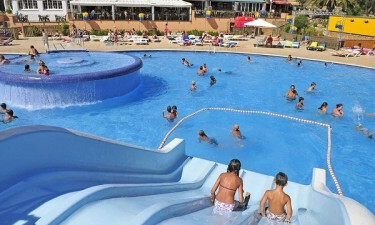 Visitors who book a mobile home at La Siesta are treated to special guided tours of the surrounding area that are suitable for the whole family. Free guided mountain biking tours of the area take guests along narrow country lanes and sandy paths beside vineyards with plenty of opportunities to pause and soak up the scenery. Guests can also choose to embark on one of the guided hiking tours that take them along trails that run alongside the beach and over the cliffs to impressive viewpoints. Enjoying dinner on the terrace at the onsite restaurant is an experience that people who enjoy luxury camping will not want to miss. The restaurant features an attached bar where guests can sample a range of locally produced beers and spirits during the day and evening, which is sure to put them in the mood for the special evening shows featuring singing, dancing and much more. This luxury camping site boasts its own bakery, which means that people will be able to enjoy a breakfast of freshly baked bread and locally produced cured sausages and other products in the comfort of their bungalow tent each morning. The supermarket shelves are also stocked with a wide range of both Spanish and British products, while the onsite shop is a great place to purchase postcards and souvenirs to take back home at the end of the camping holiday.